Microdermabrasion is a non-chemical, non-invasive procedure that uses a spray of micro-crystals to remove the outermost layer of dry, dead skin cells and reveal younger, healthier-looking skin. 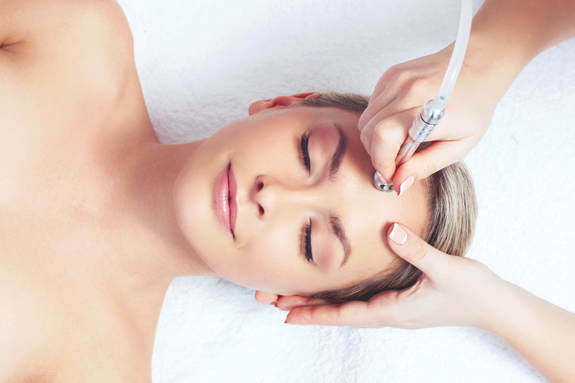 Microdermabrasion also encourages the production of a new underlying layer of skin cells with higher levels of collagen and elastin, which further improves your skin’s appearance. This is an amazing facial with virtually no pain that strip off that old skin and leave your facing looking beautiful and healthy. This is the best location in Draper and Utah to get your Microdermabrasion performed. Our staff of Specialty trained, licensed and certified Master Estheticians can give you the best in Microdermabrasion Facials. Let me discuss your skins needs and help rejuvenate your skin today!